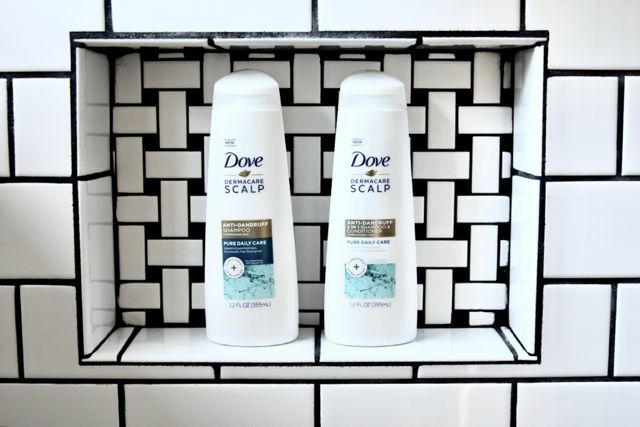 I've gotten so many questions on my hair lately, so I've decided to share my haircare routine with you guys, post by post, starting with shampoo + conditioner. 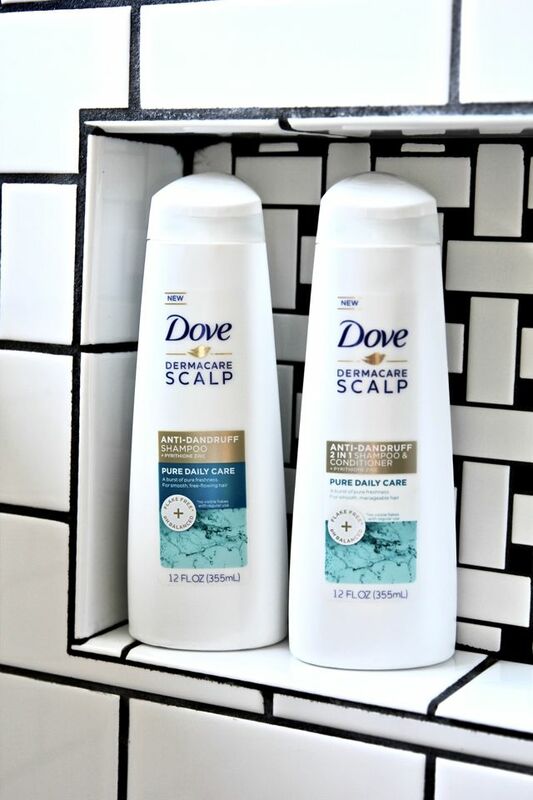 I've partnered with Dove Hair to try their new Dove DermaCare Scalp Pure Daily Care 2-in-1 Shampoo & Conditioner and I love the way it makes my hair feel. I only wash my hair a couple of times a week, simply because my hair actually looks and feels better on day 2 and 3 after washing. 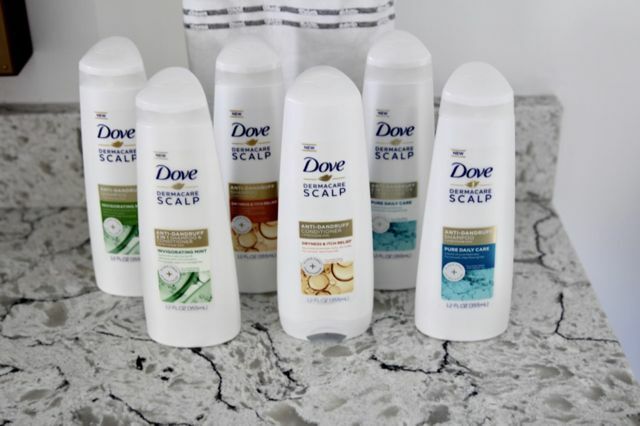 However, other circumstances like being in the sun, traveling, or even just trying different hair products, definitely play into my hair and scalp often feeling dry and flaky. My natural hair color (at the root) is pretty dark, so a dry/itchy scalp is definitely not ideal for anyone, but especially a brunette. 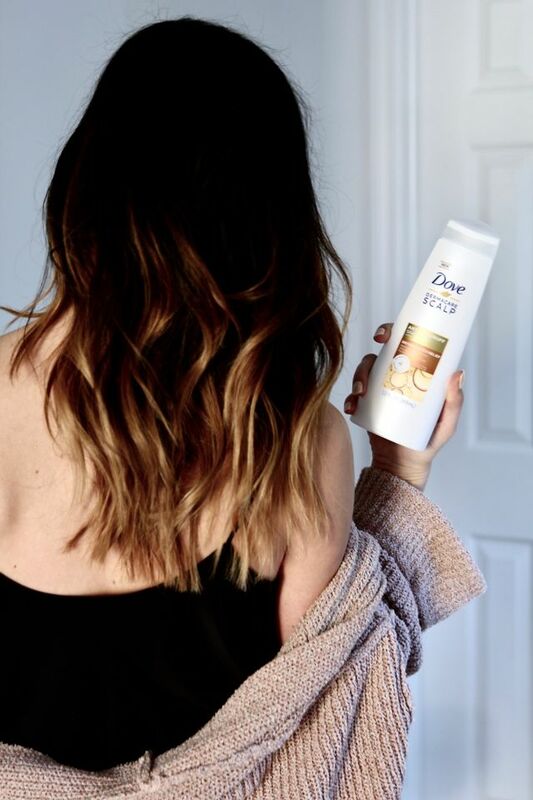 After using Dove Hair’s new line for only ONE week, I can already tell a difference in my hair's overall texture + my scalp feels so nourished, refreshed, and flake-free! With continual use, I know my hair will continue feeling and looking better and better - especially with Summer right around the corner! 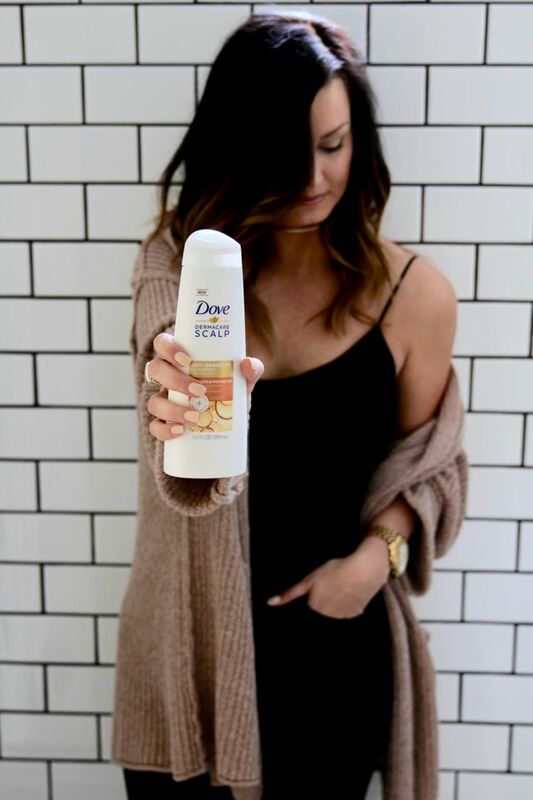 Thanks to Dove Hair for partnering on this post! 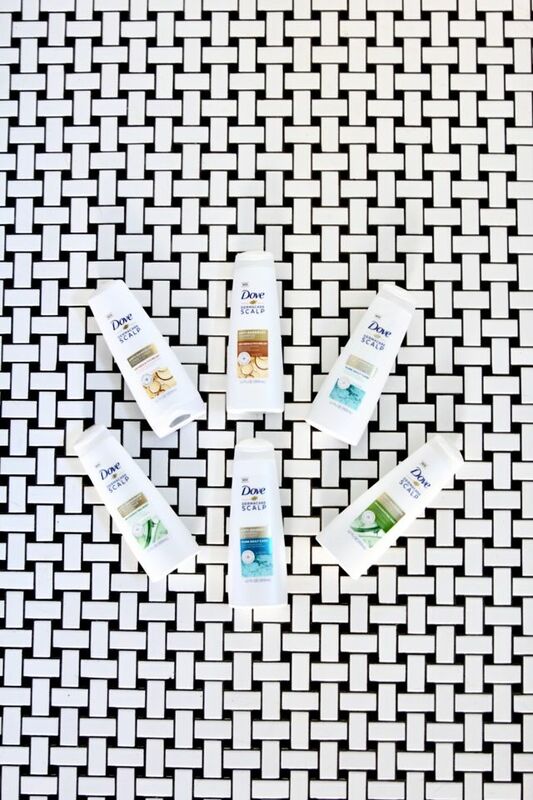 I love Dove, I use their products and it's perfect! I can't wait to try their new products! Thanks for sharing!